Tanger Hillel at Brooklyn College provides a wide range of ongoing educational and cultural opportunities for students to learn about and celebrate Israel. We encourage, educate, and empower students to create a strong cultural connection with Israel through an array of interesting educational and advocacy programs, campus-wide celebrations of Israel independence, and speakers. What is it? A first time peer group with educational trips to Israel for Jewish young adults ages 18 to 26. Taglit-Birthright Israel's founders created this program to send thousands of young Jewish adults from all over the world to Israel as a gift in order to diminish the growing division between Israel and Jewish communities around the world; to strengthen the sense of solidarity among world Jewry; and to strengthen participants' personal Jewish identity and connection to the Jewish people. MASA Israel Journey connects Jewish young adults (ages 18-30) to gap year, study abroad, post- college, and volunteer programs. No other organization makes it easier for young adults to have exciting, life- changing experiences in Israel. Please join us as we participate in The Celebrate Israel Parade. 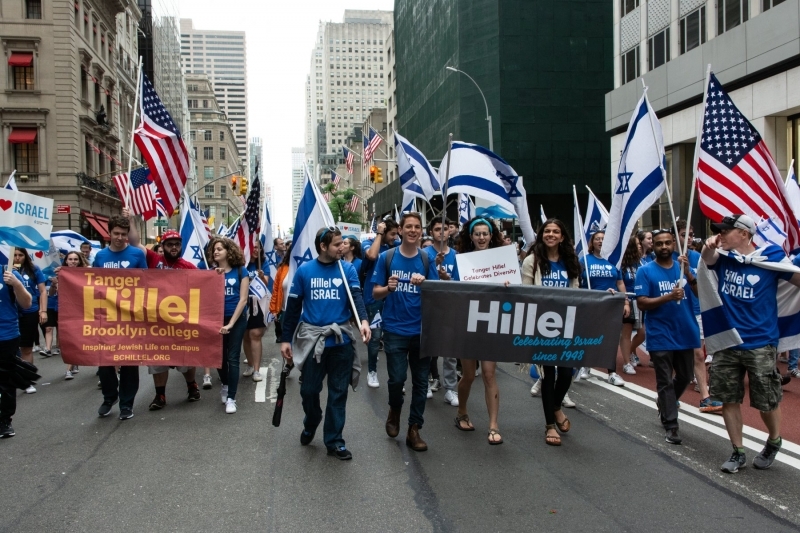 The parade is an annual event that has become the world’s largest gathering in a non-partisan show of solidarity with the land and people of Israel. In addition to the registration, we'll create our own banner every year, based on the theme. If there is anyone who has creative ideas and wants to help us out, they should get in touch with me via my email.